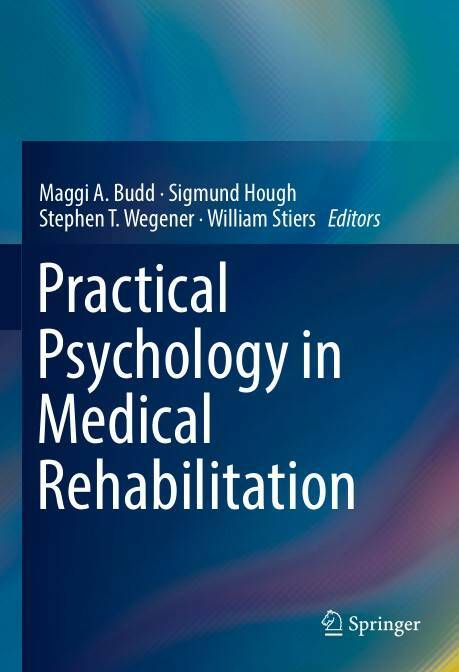 Maggi A. Budd, Sigmund Hough, Stephen T. Wegener, William Stiers, "Practical Psychology in Medical Rehabilitation"
This easy-access guide summarizes the dynamic specialty of rehabilitation psychology, focusing on real-world practice in the medical setting. It begins by placing readers at the frontlines of practice with a solid foundation for gathering information and communicating effectively with patients, families, and staff. The book’s topics run a wide gamut of patient conditions (neurological, musculoskeletal, cardiovascular), related problems (sleep and fatigue issues, depression) and practitioner responses (encouraging coping and compliance, pediatric and geriatric considerations). Models of disability and adaptation, review of competency concerns, and guidelines for group and individual therapy offer evidence-based insights for helping patients manage their health conditions, benefit from rehabilitation interventions, and prepare for their post-rehabilitation lives and activities. 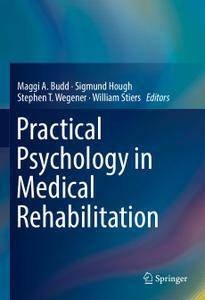 Practical Psychology in Medical Rehabilitation is an essential professional development tool for novice (and a refresher for veteran) psychologists and neuropsychologists, as well as rehabilitation physicians, nurses, therapists, psychiatrists, and social workers. It presents in depth both the hallmarks of the specialty and the nuts and bolts of being a valuable team player in a medical setting.